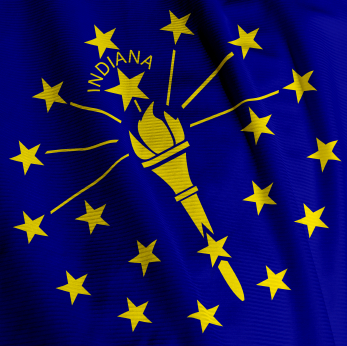 A man Indiana is appealing a court ruling depriving him of joint custody of his children because he is agnostic. Craig Scarberry’s former wife was granted full custody of the children by a court commissioner because she is a Christian. The case is just one of scores popping up in the news recently in which U.S. citizens’ First Amendment rights have been violated by blatantly religiously biased government officials. When evidence was revealed that Scarberry had rejected the doctrines and tenets of the Christian faith and decided that the question whether or not God exists could not be answered, Madison County Superior Court 3 Commissioner George C. Pancol issued a ruling that deprived him of the equal joint custody he formerly enjoyed. According to Ashley Reich of The Huffington Post, the judge noted in the ruling that “the father did not participate in the same religious training as the mother”, adding that “[w]hen the father considered himself a Christian, the parties were able to communicate relatively effectively”. In his ruling, Pancol ordered that the agnostic’s visitation time be reduced to only four hours a week, and his custody, to once every other weekend. Scarberry, who believes the ruling is a violation of his First Amendment right to free exercise of religion, isn’t going down without a fight, however. Along with his appeal of the court’s ruling, he has planned a protest in support of equal rights outside the Madison County government office on 16th December. Reducing a person’s child custody rights because he or she is agnostic is utterly asinine. It is very likely illegal, as well. Second, the claim that the parents could not communicate effectively because of their religious differences is irrelevant. So what? That a Christian mother does not communicate effectively with her agnostic husband due to their religious differences does not mean that the agnostic husband cannot be a good father to his children. In other words, that the parents are on different levels religiously has nothing to do with how the father treats his children. This argument also applies to the statement that “the father did not participate in the same religious training as the mother”. So what? A person can practice a religion different from that of his or her partner and still be able to care properly for his or her children. Quite simply, the judge’s ruling constitutes blatant discrimination on the basis of creed. Freedom of and from religion—with impunity—has always been a fundamental tenet of the Universal Life Church Monastery, so we hope that Scarberry succeeds in his appeal to overturn the judge’s ruling and secure justice for himself and his children. We invite our ministers ordained online to share their thoughts on the matter. Should a father be deprived of equal joint custody of his children just because he does not know whether or not God exists?